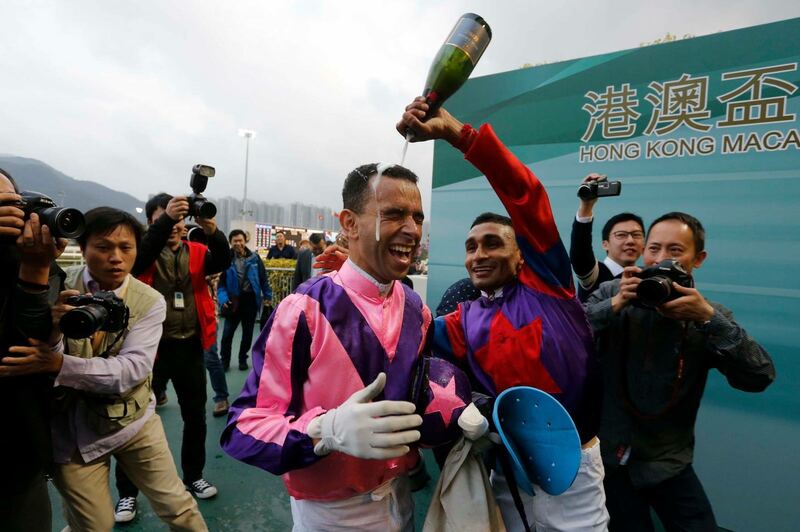 Not even the constant drizzle over Sha tin could rain on Joao Moreira’s parade. He couldn’t be stopped from showing the world his happiness- pumping his fist in the air, whooping it up, giving everyone his signature thumbs up sign (with accompanying smile), and when it all became too much, an emotional release with his wife that many of us understood or felt. It gave the sport a new sense of soul and sincerity. When he thanked the entire John Moore team and, especially God for this win, only the most callous could not have been moved. 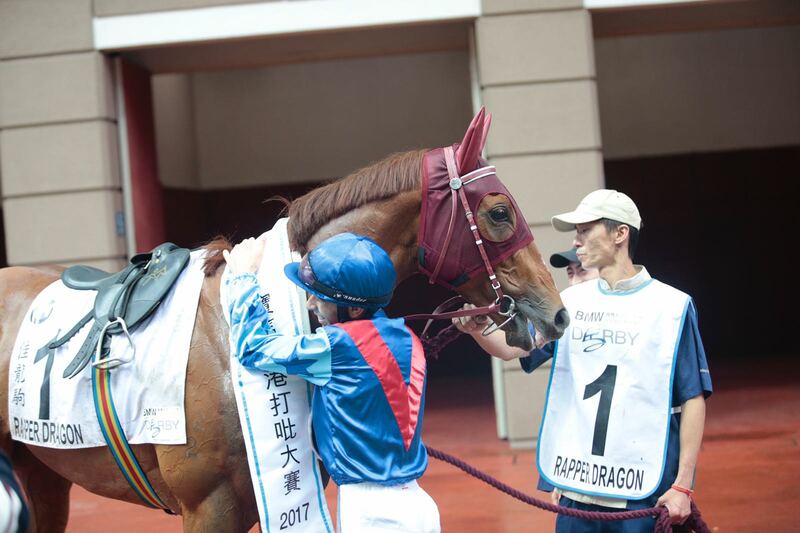 His ride Rapper Dragon had just won the 2017 BMW Hong Kong Derby like the good thing many had been saying he was. 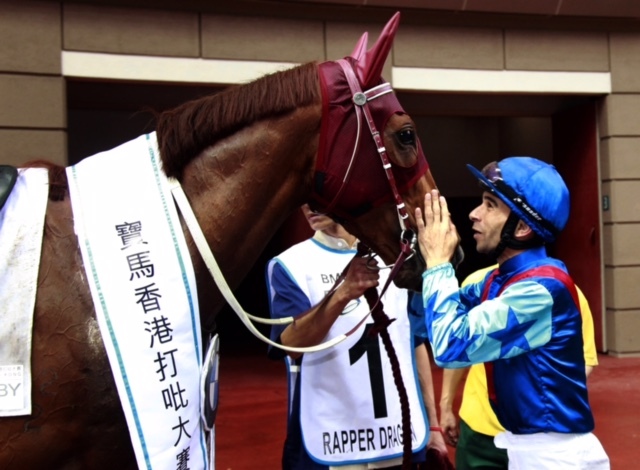 It was the first Hong Kong Derby win for the Brazilian Magic Man, who recently mentioned when being interviewed that he prefers to be talked about as being blessed. 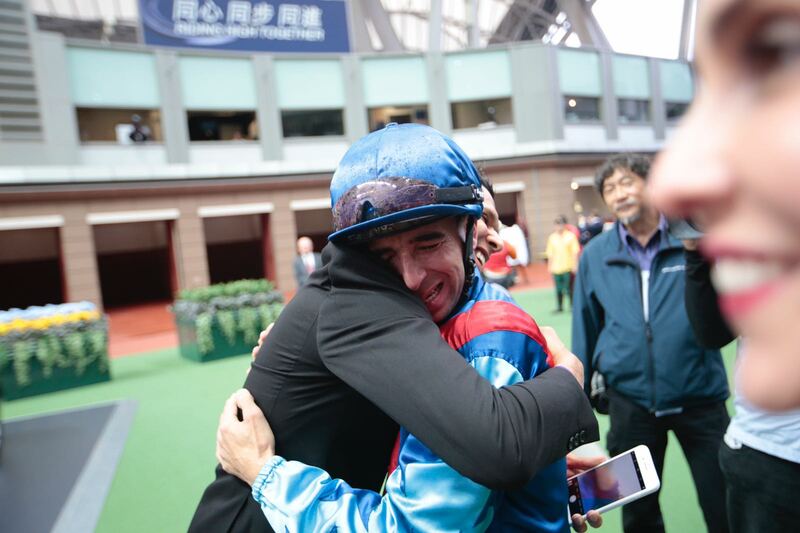 This is what makes Joao Moreira extra special even to those who don’t know anything about horse racing- the humility that accompanies his many accomplishments in the saddle. There are so many great rides for the “time capsule” that it’s come to the point where we expect him to constantly part the Red Seas, walk on water and win every race in which he competes by doing something miraculous. “Just winning” is not enough. Every win has to be magical. 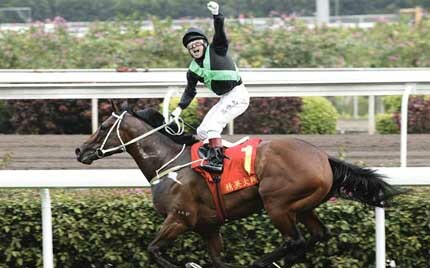 And extraordinary because this is no ordinary jockey. 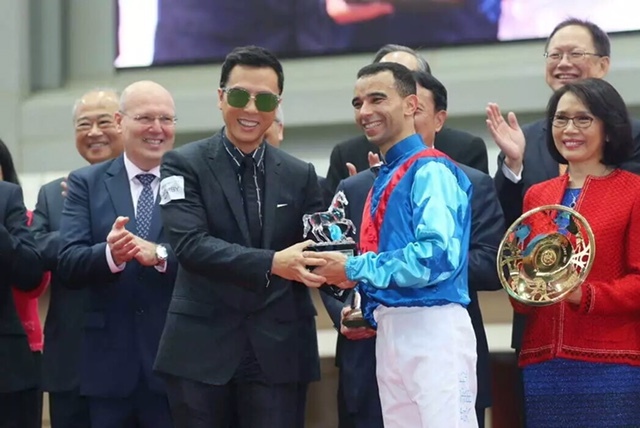 One racegoer is certain that like The Man Who Fell To Earth, Joao Moreira is a travelling spaceman seeing how us mere earthlings live their lives. She’s serious- and an intelligent woman. But this is The Moreira Effect. 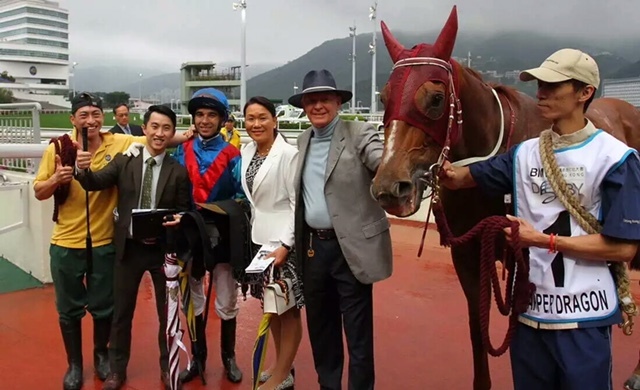 This is what this very special rider has brought to horse racing. 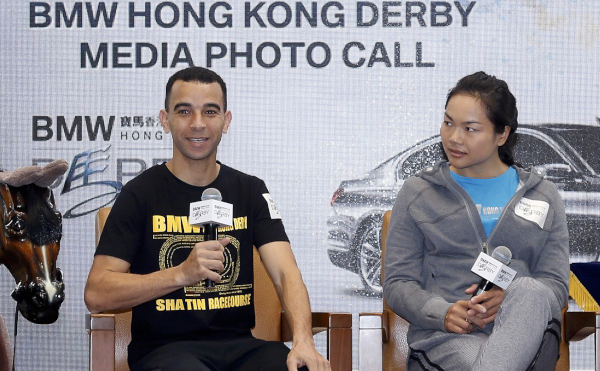 With great power comes great responsibility and Joao Moreira handles it superbly- the constant requests for autographs, selfies, and his time to help promote the sport and HKJC organised events along with ensuring his family life stays his priority. And he does it all with a smile. A year ago, I thanked him for giving up his time on a race day to be interviewed. He thanked me back saying he has a job to do and so do I. It’s mutual respect. 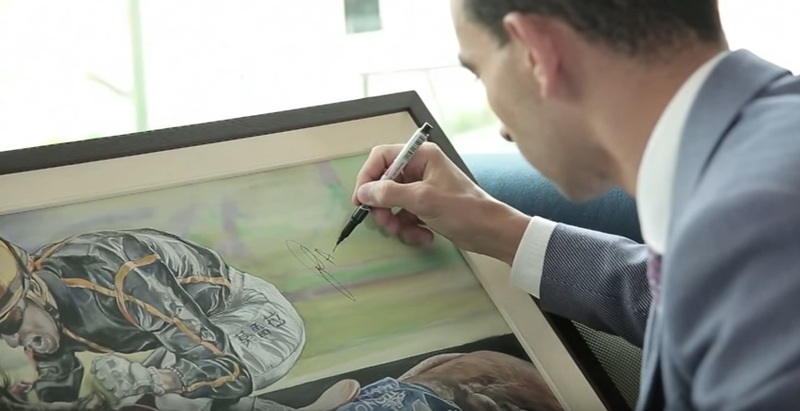 He then asked if he could film a video message to an artist in Melbourne whose painting of him winning on the great Able Friend I had recently purchased. We did and it probably made her year. 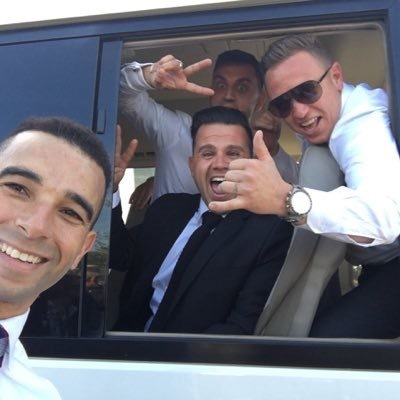 A few days ago, a former jockey mentioned on social media how he and his friends were trying to get a photograph of this champion jockey when he was in Melbourne. He ended up taking a selfie with them. People don’t ever forget these acts of generosity and kindness. How he stays positive and true to himself is probably the greatest strength in his artillery. 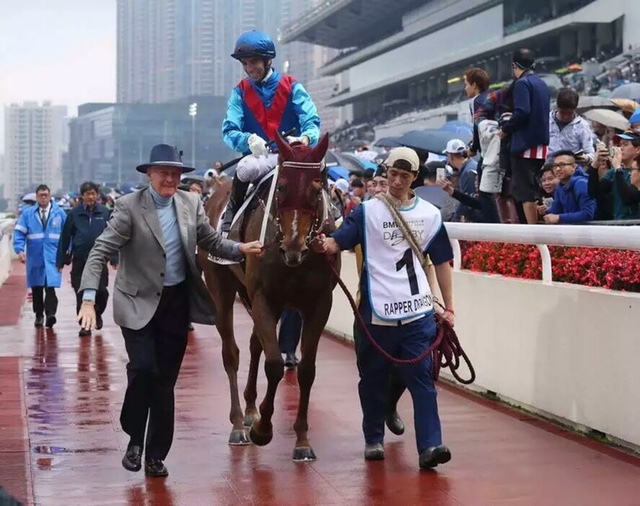 Watching him hug trainer John Moore, who was celebrating his sixth Derby win, showed how closely the two work together. There’s a saying amongst especially the old guard in the racing game that “the Moores only care about the Moores”. Maybe. 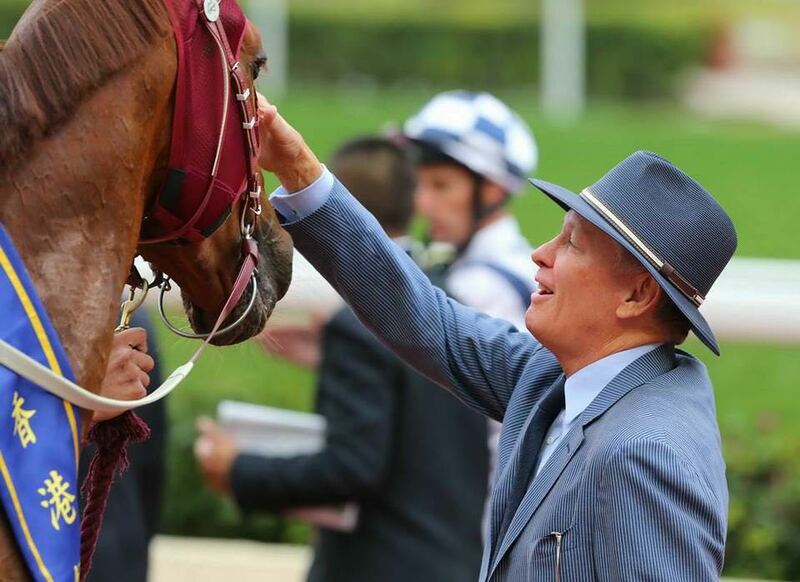 But there’s no getting away from the fact that John Moore is a hugely successful and very good trainer. 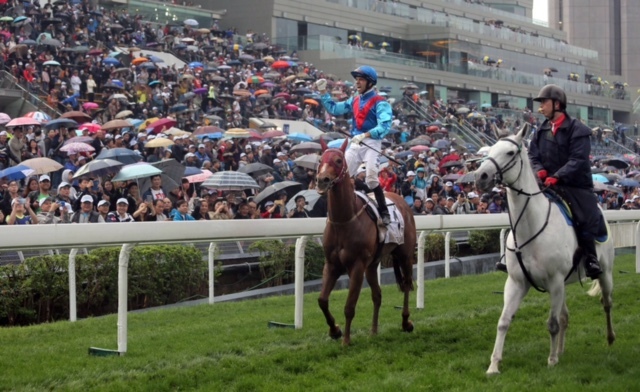 He has that unique knack of getting his horses ready for all the big races in Hong Kong. He also has that art of persuasion to attract those owners with the spending power. He’s also a trainer who’s a hard task master. Over the years he has gone through his fair share of jockeys. 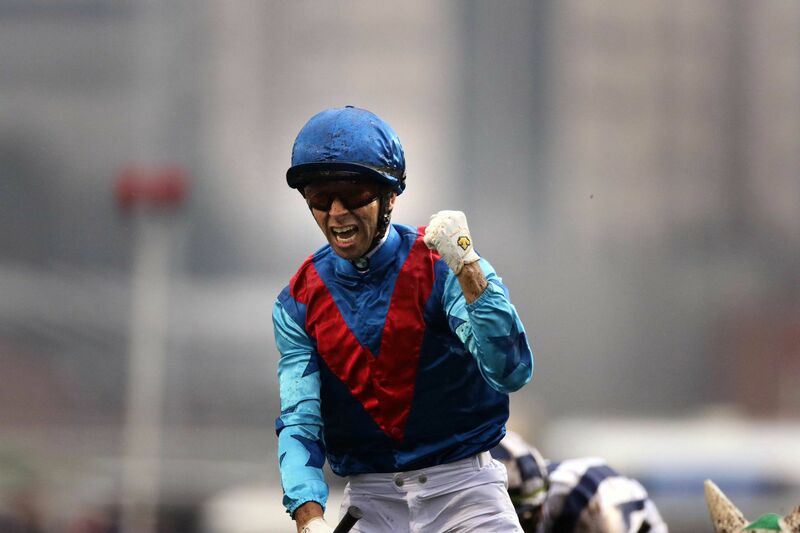 But even though he holds a powerful hand with the quality of expensive equine talent in his stable, there’s the feeling that he knows Joao Moreira is his own man, and is unlike any other great jockey who has ridden for him. He’s not. 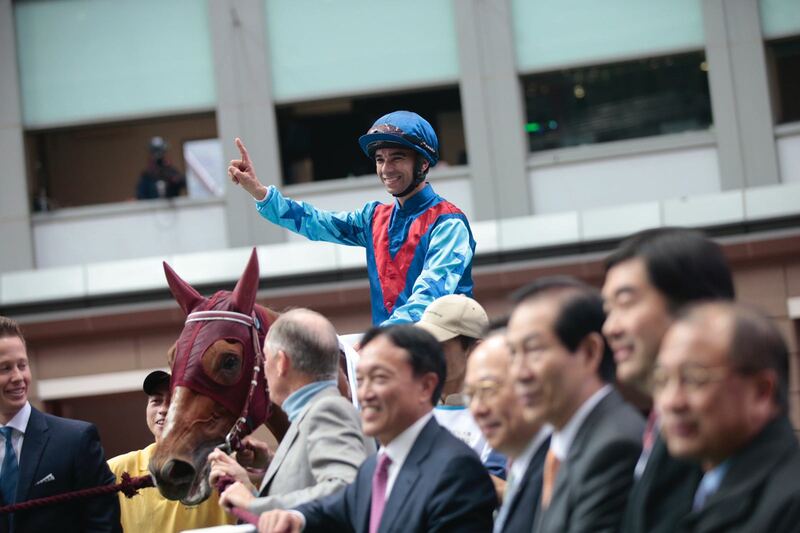 He’s Joao Moreira. She wasn’t being difficult, but being in finance and looking at building people’s investment portfolios, she was asking about the return on my time and money when it comes to horse racing. How it compares to my commitment to music and creativity. But that’s like comparing apples with oranges and tangibles with intangibles. She attended Derby day, and after watching the emotions that ran through Joao Moreira and the entire team responsible for the success of Rapper Dragon, and the domino effect it had on all of us who experienced this moment in time, it all kinda clicked into place for her: That it was about celebrating someone’s happiness with no strings attached. 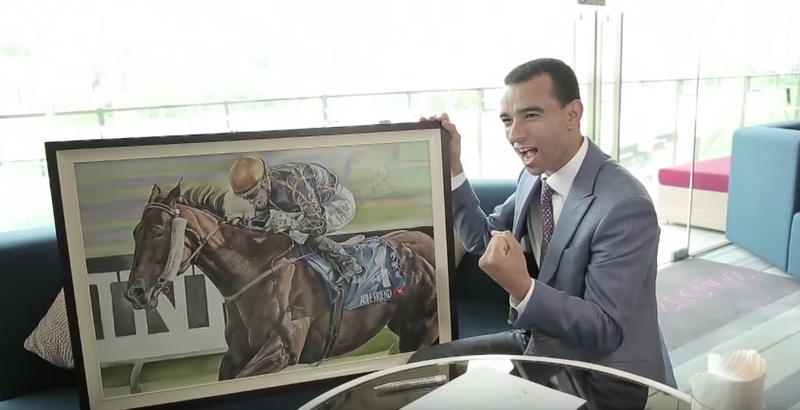 How it’s taken a long time for Joao Moreira to reach the heights that he’s enjoying today, and how inspiring this can be in a world where inspiration is in short supply. And why that win yesterday said much about the importance of teamwork. It wasn’t only about the financial gains, but also about the positive emotional gains to be had. 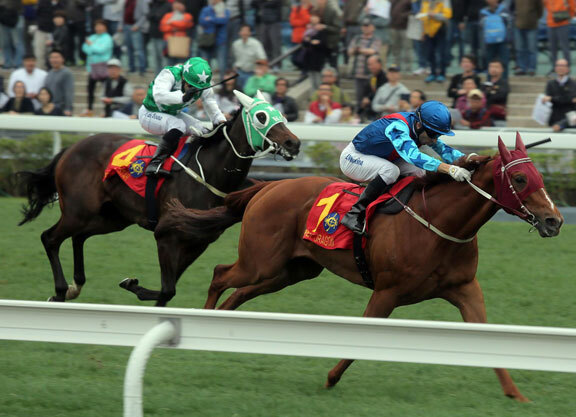 Too often, those in positions of power in horse racing think everyone follows the sport in the way they want them to follow the sport, and believe this is how all the pieces will fit. Not at all. 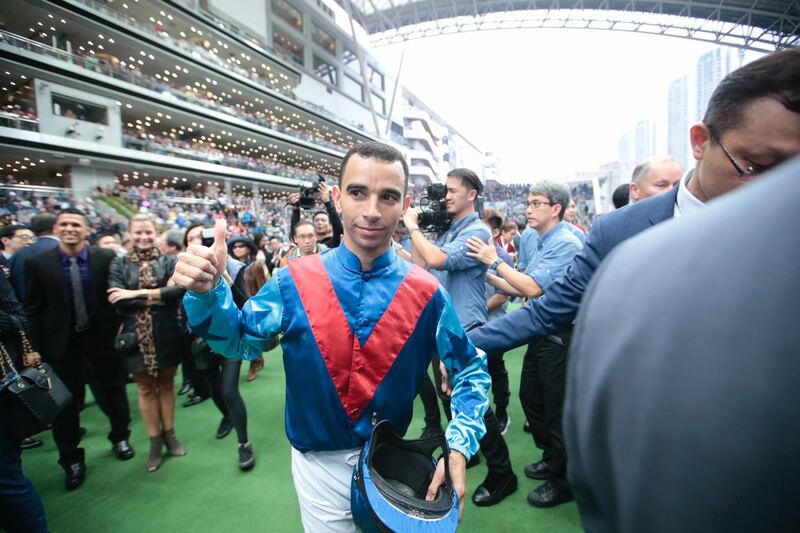 People start to understand and appreciate and respect the sport more from simply watching an elated Joao Moreira and how he handles himself- with refreshing humility and taking nothing for granted. It’s low key high energy with a myriad of personal emotions attached. 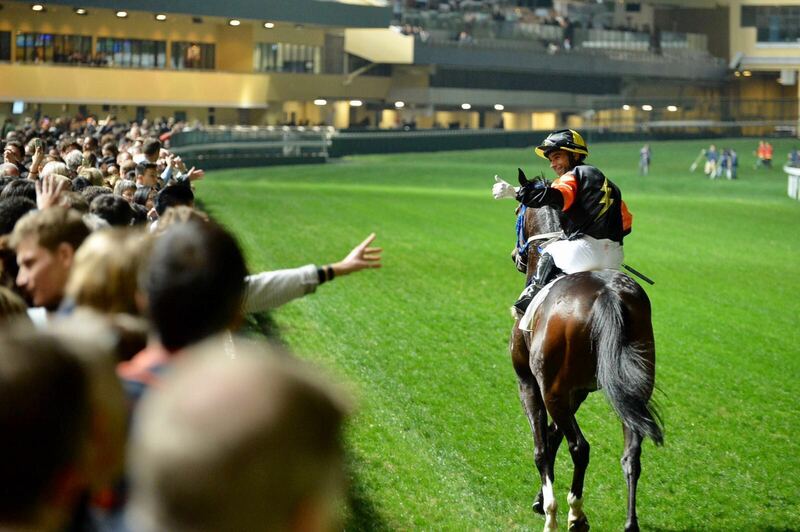 Moments like these are better than any marketing or advertising campaign to win over the non-racing fan- and also build a lasting relationship with the current horse racing fan base. Over the years, it’s been the great horses that have helped the sport cross into the mainstream consciousness- Phar Lap, Seabiscuit, Zenyatta, American Pharoah, Frankel, Black Caviar, Silent Witness, below, California Chrome, Able Friend, and, today, the mighty mare Winx. 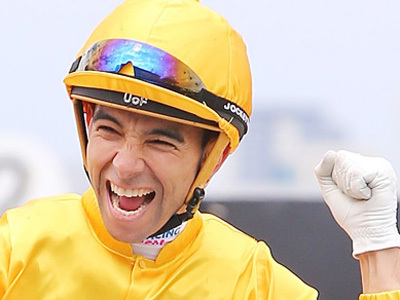 Today, it’s Joao Moreira. Yes, he’s most certainly blessed. And we’re blessed to be around to watch him ride and pick up some important life lessons in the process. Thanks, Joao. 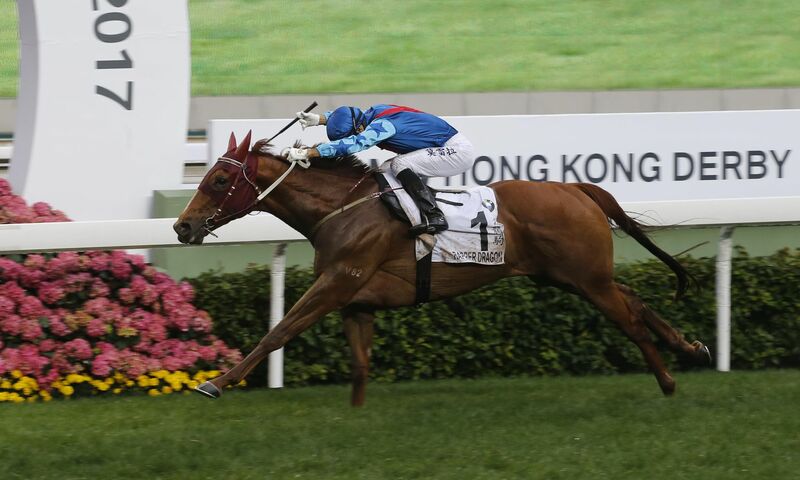 This entry was posted in Hong Kong Jockey Club, Hong Kong Racing, Horse Racing, JOAO MOREIRA, JOHN MOORE, The horse racing industry and tagged 2017 BMW Hong Kong Derby, Able Friend, American Pharoah, Black Caviar, California Chrome, FRANKEL, HKJC, Joao Moreira, John Moore, Phar Lap, Rapper Dragon, Seabiscuit, Silent Witness, Winx, Zenyatta. Bookmark the permalink.